Tomakin is a small coastal town south of Batemans Bay in NSW Australia. My fiance and I holiday there and find it a great place to relax. Me being a rock doctor I always keep an eye out for interesting geology and to my surprise Tomakin has some great formations! 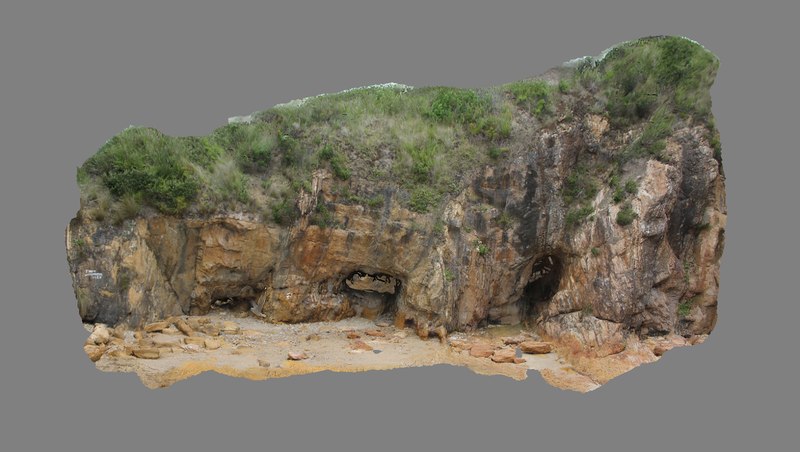 I won't go into detail at the moment but I will show you some images of some caves that I think are the Tomakin Turquoise mines. I can't find any information relating to these mines but Geoscience Australia links the same spot to the mines. 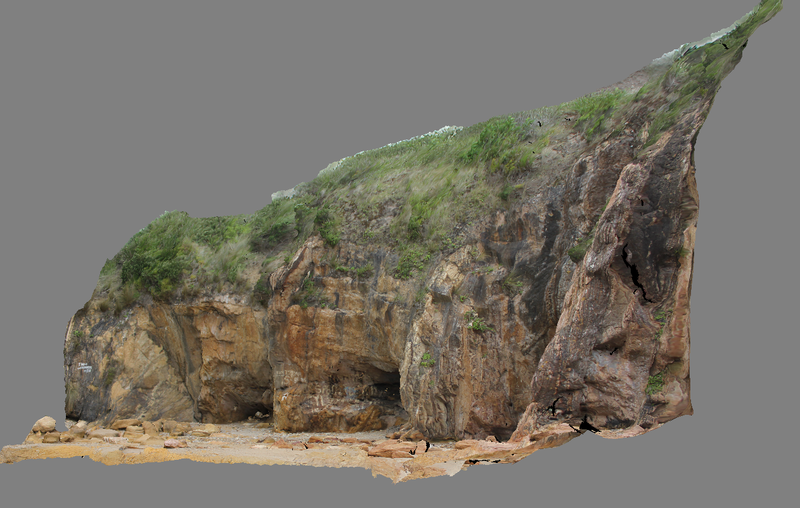 To make it more interesting I took some overlapping images from different view points so I could process them in photogrammetric software. I did this so I could create a 3D model or Digital Terrain Model of the mines. You can see below I have taken some shots from different views in the processing software. It would be great if any one could add more info. Figure 1. 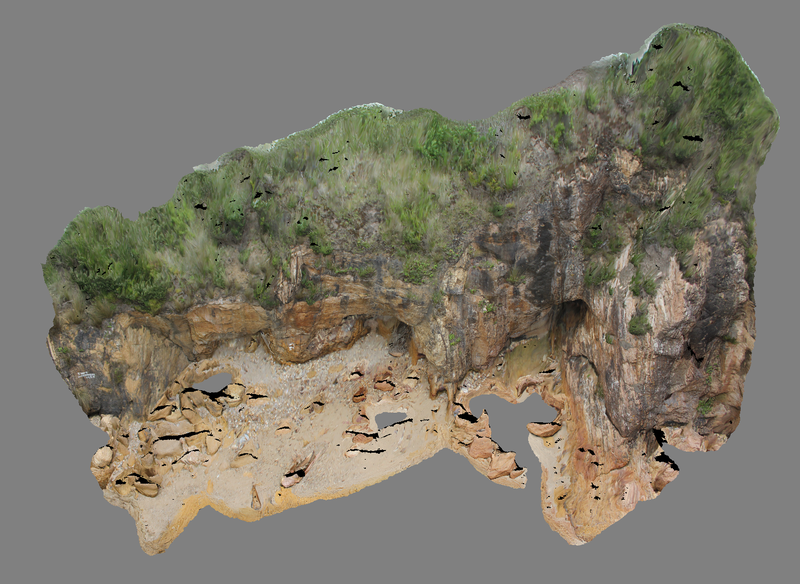 Front facing view of the possible mines as a 3D Digital Terrain Model. Figure 2. Oblique facing view of the possible mines as a 3D Digital Terrain Model. Figure 3. Looking from the right of the possible mines as a 3D Digital Terrain Model. Nice work Robert. Did you take all of the photos from the ground? Which software did you use? I am interested in doing some photogrammetric quarry face mapping. Software Software Software. But where are the reviews???? ?